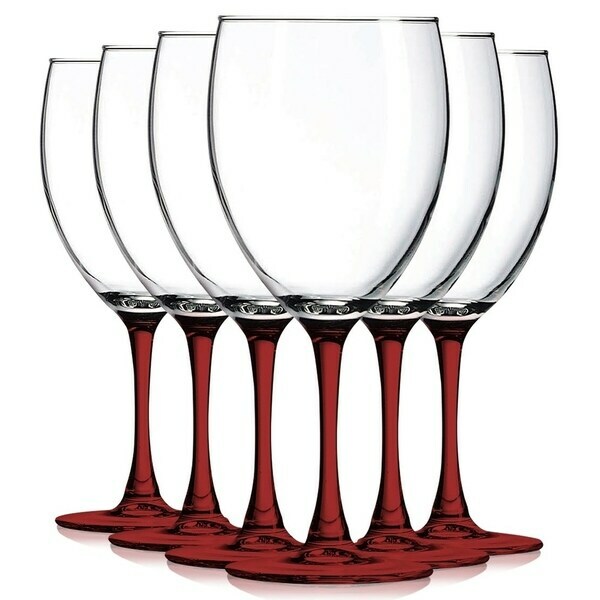 Set includes 6 Nuance Wine Glasses 10 oz Capacity. Crafted from lead-free glass for clarity, consistency, and affordability.Enviomentall frinedly - the absence of lead guarantees 100% recyclable products.Elegant and sophisticated look.Classic silhouette shape with a beautiful colored crystal accent,These are Set of 6 glasses.These glasses are fun and exciting. Great for any occasion and they make great gifts. Dimensions 14.0 In. X 11.0 In. X 8.0 In.